ST. GEORGE — More than a dozen Region 9 senior athletes recently signed national letters of intent with universities and colleges during the early signing period that began Nov. 14. Following are brief recaps of the known signees for each of the Region 9 schools with at least one athlete accepting a scholarship. If we have missed anyone, please send an email to [email protected] and we will update the article accordingly and/or add pictures to the photo gallery at the bottom of the story. Updated Nov. 23, 10 p.m. to include six additional athletes from Desert Hills High who signed letters of intent (three baseball players, two soccer players and a softball player). 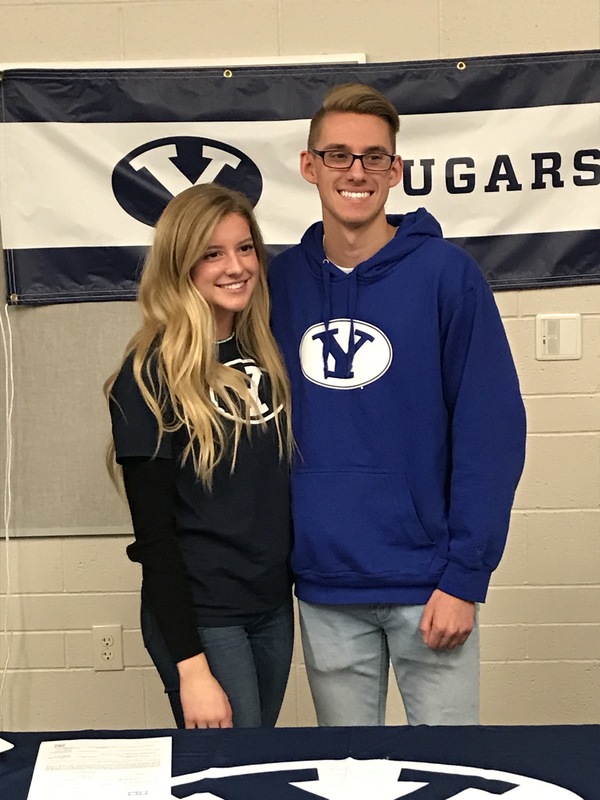 Updated Dec. 3, 6 p.m. to include two additional Desert Hills athletes who signed with BYU’s track team. 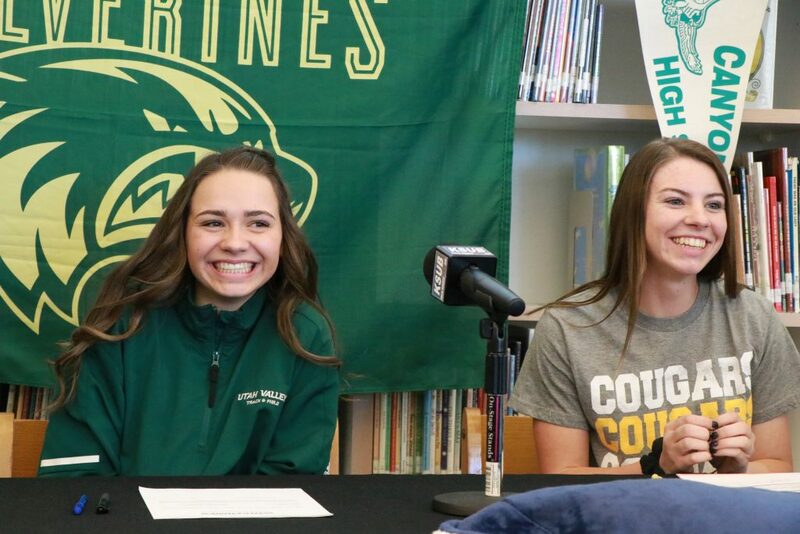 Updated Dec. 17, 5 p.m. to include signing information and a photo of two Snow Canyon athletes who signed on Dec. 17. The Dixie Flyers had four girls soccer players sign with university teams last week. In a joint ceremony held at the school Nov. 14, Mashaun Estridge and Kennedy Warnick both signed with Dixie State University, Halee Barker signed to play at the University of Utah, and Isabel Erickson formally committed to play soccer for Embry-Riddle Aeronautical University in Prescott, Arizona. In addition, Kayler Yates, a pitcher and shortstop for the reigning 4A state champion Flyers, signed a letter of intent to play baseball for the University of Utah Utes. 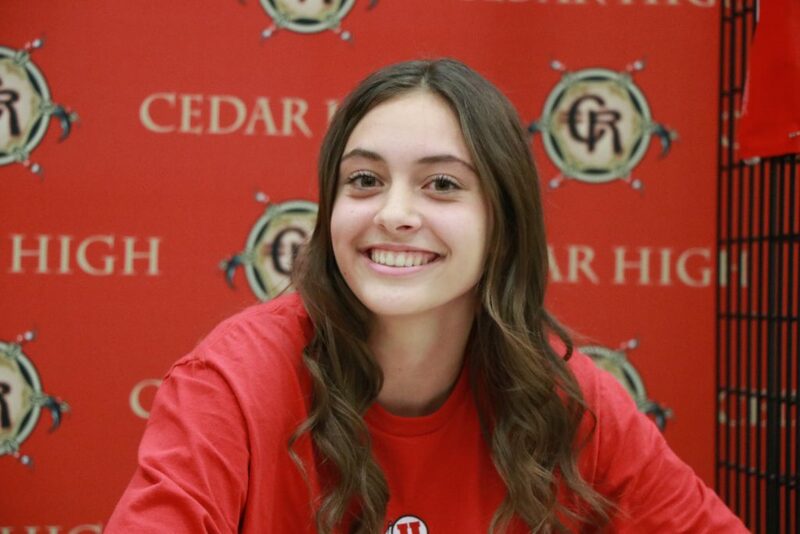 Canyon View’s Larissa Dabb, who placed second overall in the 400-meter race at the state 4A meet in May 2018, signed to run track for Utah Valley University. She was joined by coaches and family members at the signing ceremony in the school’s library Monday. Dabb said she was inspired to go out for track in high school by her older brother Seth, who is now a member of the UVU Wolverines’ track team. CVHS track coaches Matt Storland and Mariam Steffensen praised Dabb for her character and her contributions to the program. “She’s so coachable and caring,” Storland said. Right after Dabb’s signing, fellow senior Taylee Braegger, a pitcher and infielder for the Lady Falcons softball team, then signed to play for Western Nebraska Community College. Braegger said she’s visited the campus in Scottsbluff five times since her sophomore year, and is impressed with how well the school fits into the community. “It made it feel right for me,” she said. 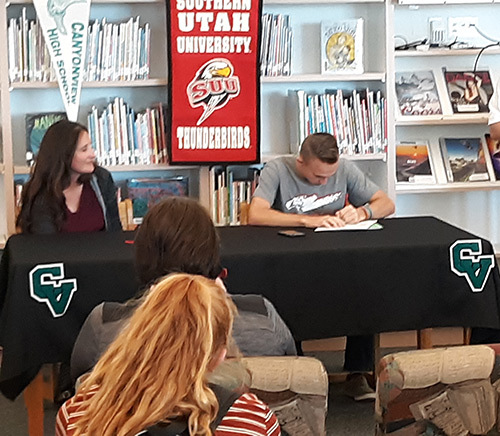 Also at Canyon View last week, distance runner Easton Brandt signed to run cross-country for Southern Utah University. 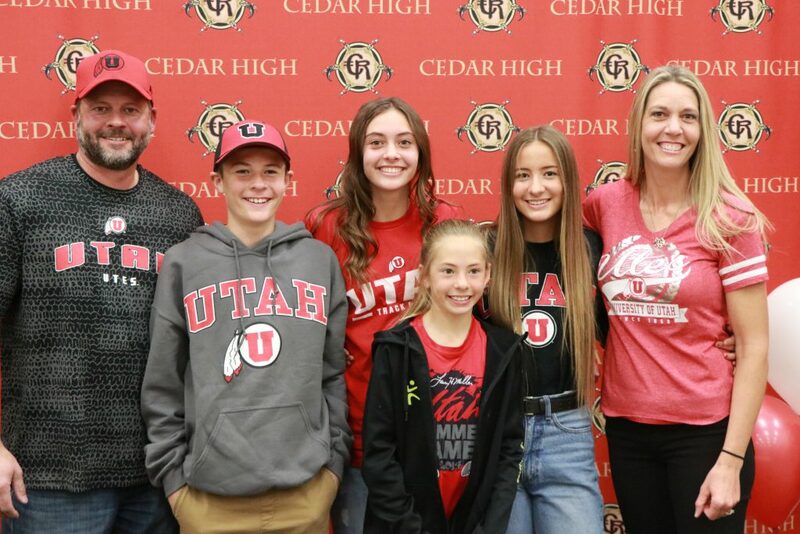 In addition, Morgan Haag, a soccer forward who led the Lady Falcons in scoring with 19 goals this fall season, signed to play soccer for Utah State University-Eastern in Price. 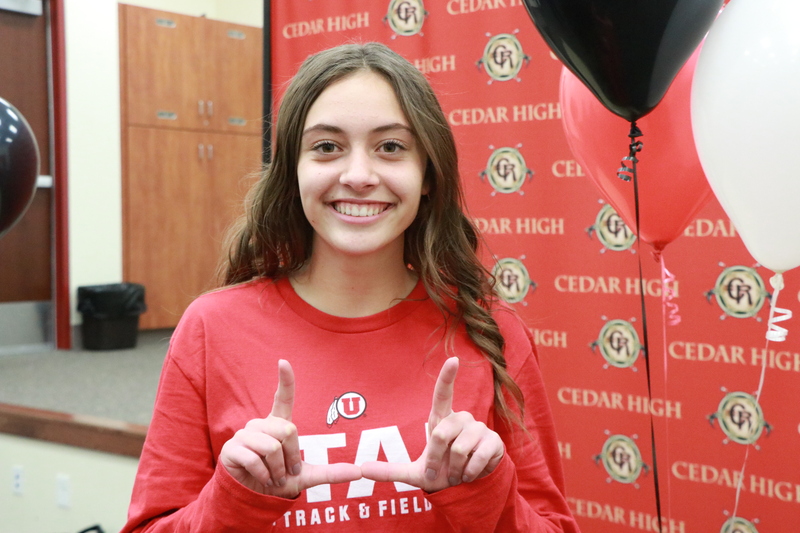 Cedar’s Jasie York committed to run track for the University of Utah, signing a letter of intent at the school’s lecture hall on Tuesday. York won the 400-meter race at the state meet last spring, helping the Lady Reds win the 4A state title. Her time in the race was 55.47 seconds, a new Cedar High school record. She also anchored Cedar’s 4×400 relay, which placed first in state with a time of 3:56.60. York’s father Jason York spoke briefly before his daughter signed the paperwork, saying that she’d received letters from more than 30 different institutions, including several in-state schools. “With all the schools here in the state that followed you and wanted you, I know it was a hard decision, but I know that this has been a good decision and you’ll do well at the University of Utah,” Jason York said. Jasie York, who ran the 200, 400, and 800 meter races at state last year, in addition to the 4×400 relay, said she plans to continue focusing on those same events as a senior next spring. Jasie York said she was glad she made the switch from cross-country to track after her ninth-grade year. “I ran cross-country my freshman year and then I got three stress fractures, so I couldn’t compete, and then I decided to do track and I just loved it,” she said. 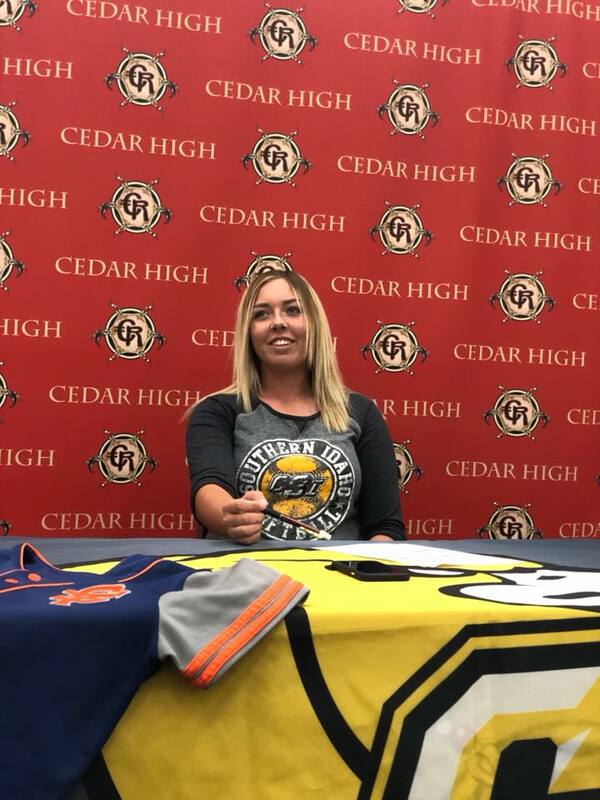 Also for Cedar, Kenzie Waters, a pitcher on the Lady Reds softball team, signed to play for the College of Southern Idaho. In addition, Cedar’s Bridger Bunnell, a right-handed pitcher, signed to play baseball for Augustana University in Sioux Falls, South Dakota. The Augustana Vikings are the reigning Division II national champions. 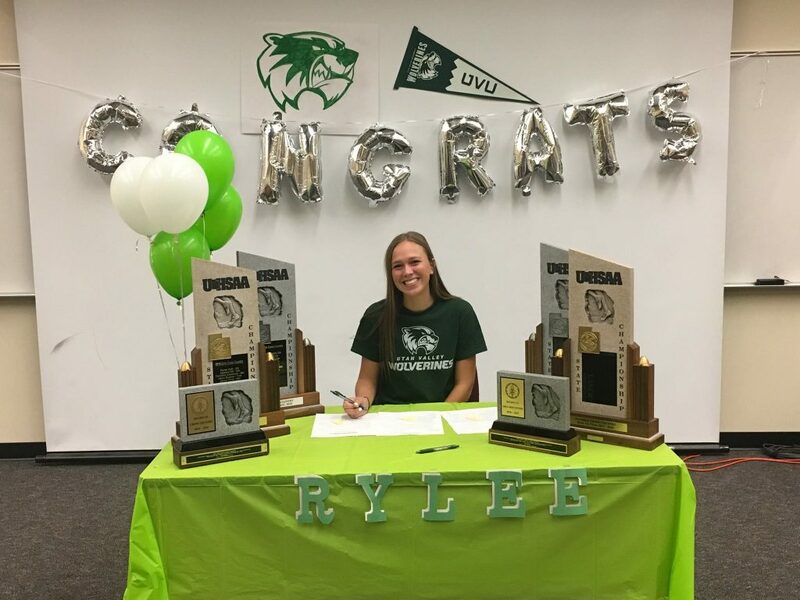 Rylee Holt, who finished in 12th place overall at the state 4A cross-country meet in October, helping the Lady Panthers to a second-place finish at state, has signed with the Utah Valley University’s women’s cross-country and track team. Four senior standout runners from Desert Hills’ state championship cross-country team have signed to run track and cross-country at the college level. 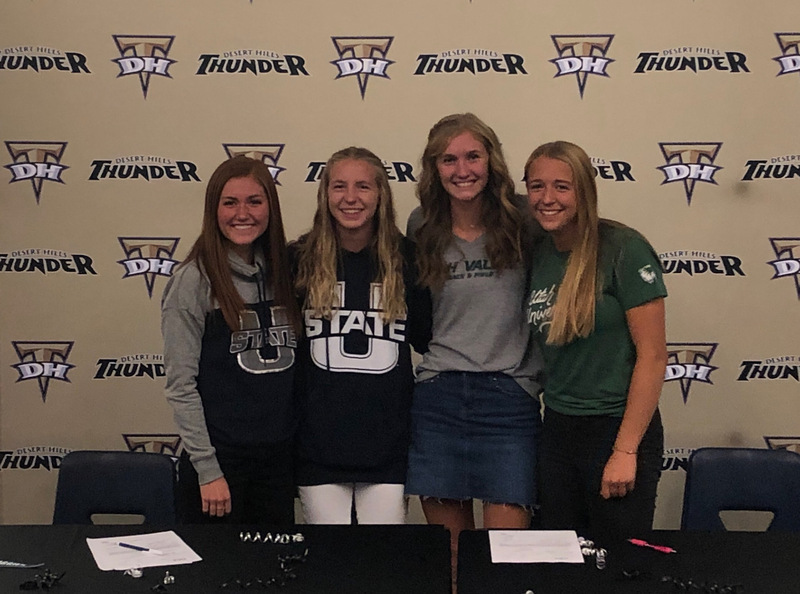 Bailey Brinkerhoff and Samantha Nelson, who finished a respective fifth and sixth overall among 4A girls at the state meet in October, will both attend Utah State University. Meanwhile, fellow teammates Lily Poulton and Trinity Schimbeck will attend and compete for Utah Valley University. Also from Desert Hills, soccer players Drew Morby and Kiki Stewart signed letters of intent, with Stewart committing to play for Arizona State and Morby signing with Colorado State University at Pueblo. In addition, Addison Betts, who led the Lady Thunder in home runs last year, signed to play softball for Salt Lake Community College. Desert Hills also had three baseball players commit during the early signing period, with pitcher-infielder Dallen Turner signing with Wagner College in New York, shortstop and pitcher Drew Thorpe committing to play for Cal Poly, San Luis Obispo and outfielder Landon Levine signing to play for the hometown Dixie State University Trailblazers. 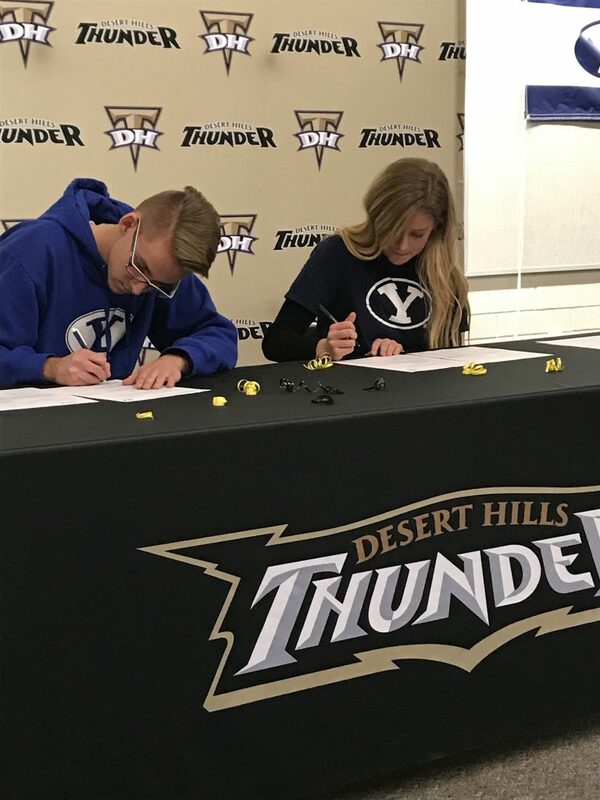 On Dec. 3, two additional athletes from Desert Hills High also signed letters of intent to compete for the Brigham Young University track team. They are sprinter Zachary Marsden, who won the 100-meter, 200-meter and 400-meter races in the state 4A meet this past May as a junior, and hurdler Chloe Taylor, who won the 300-meter hurdles at last year’s state meet. 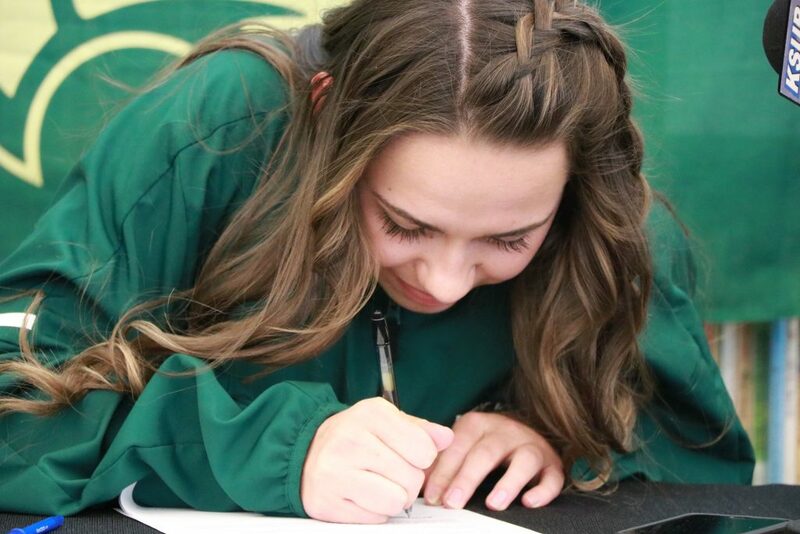 Standout hitter Sammi Johnston, who was recently named Region 9’s MVP, has committed to play volleyball for the Salt Lake Community College Lady Bruins. 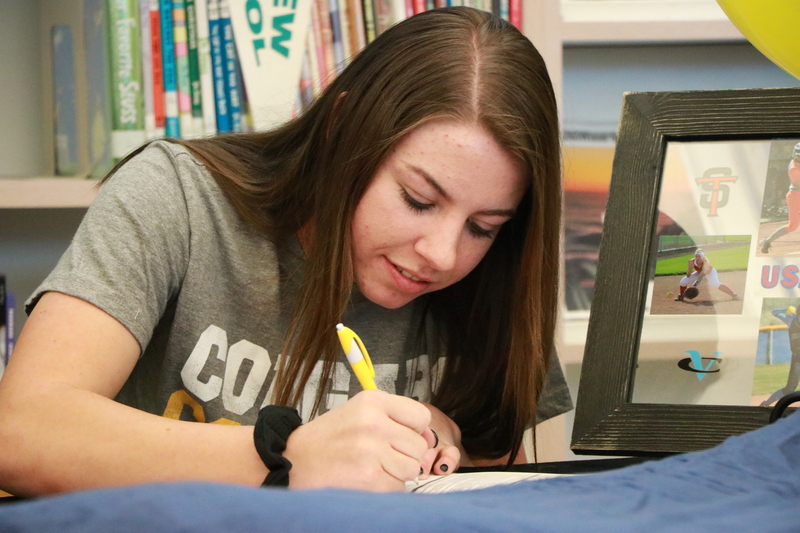 She plans to graduate early from Snow Canyon High, then start attending and playing for SLCC in January. 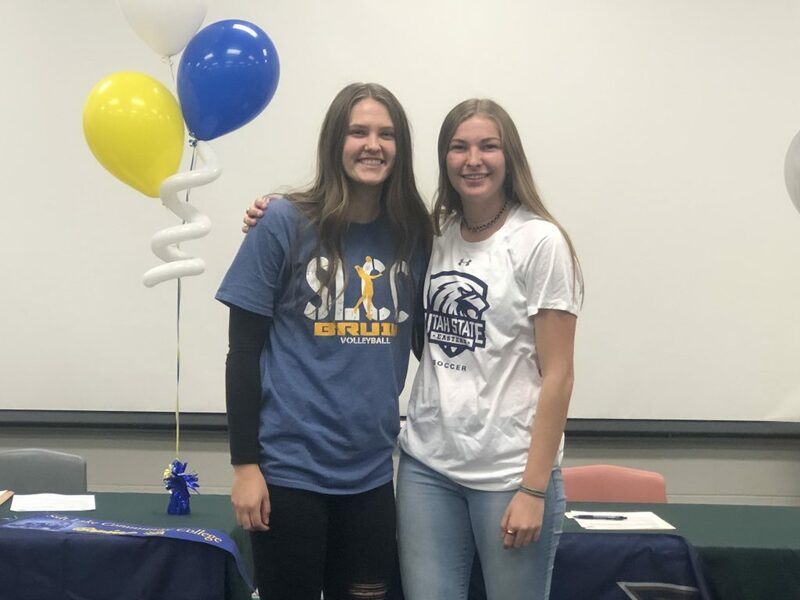 On Dec. 17, after finishing high school early, Johnson formally signed her official letter with SLCC, her father and coach Dave Johnston reported. 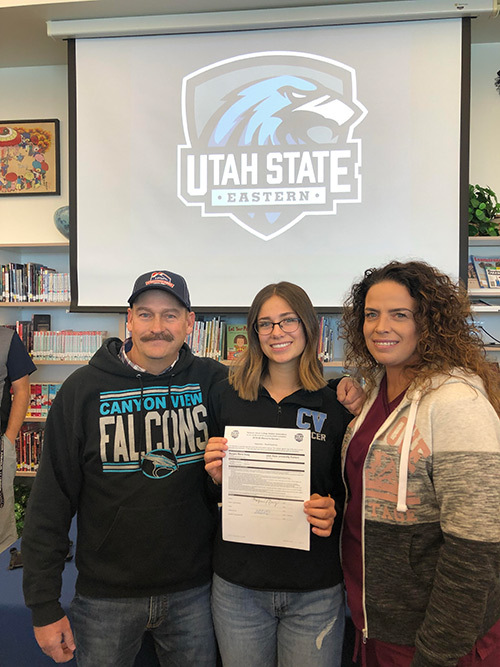 Also on Dec. 17, Snow Canyon senior Ashley Brindley signed a letter of intent to play soccer for Utah State University-Eastern, coach Kenny Kunde said. For a list of upcoming national letter of intent college signing dates for prospective freshmen student-athletes, click here.